Despite the fact that the weather was slightly cooler for much of the week, in the high 60's and low 70's, there were still a ton of amazing catches to be had on each one of our charters. 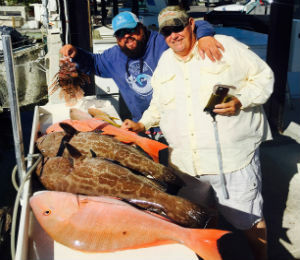 While there were plenty of noteworthy hauls throughout the week, the one that stood above all the rest was an amazing catch of two huge Black Groupers, 3 Yellowtail Snappers and 2 large Red Snappers, easily earning the title of Key West Catch of the Week. 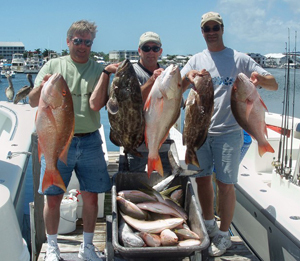 The entirety of this haul was reeled in on one of our Key West deep sea fishing charters. Even though the waters were a little cooler, this displays that the fish were biting with just as much frequency as ever. 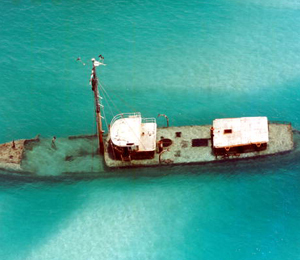 The Black Grouper is one of the more popular species of fish in Key West, as is the Yellowtail Snapper. The Grouper can grow to be well over 150 pounds in weight. This fish never swims with others of its species and is most prevalent in the waters of Key West during the months from May to August. They primarily feed on smaller fish and Squid, as well as Shrimp when they are younger. 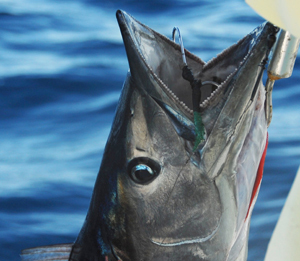 This species of fish is highly sought after as both a sport fish and a food fish, the latter being due to the fact that it is one of the tastier fish that can be caught in the waters of Key West. Though the Yellowtail Snapper and Red Snapper are two types of Snappers, they are distinctly different in a large variety of ways. The Yellowtail Snapper is a fish that typically swims in schools and can only reach a weight of 8 pounds at most. Though the Yellowtail Snapper can be found in waters as north as the state of Massachusetts, they primarily live within the warmer waters that can be found in the Florida Keys and the Gulf Coast. This fish tends to be identified by anglers due to the distinct yellow line that runs from its head to the tail, while the tails primarily consist of a yellow hue. Red Snappers can be found pretty much anywhere in the Atlantic Ocean, though they also tend to frequent Key West and the surrounding areas. The Red Snapper usually grows much larger than the Yellowtail and can reach a maximum weight of just over 80 pounds. They have more fat and rounded bodies, while the Yellowtail is identified by its slender body. As the name implies, the Red Snapper is identified primarily due to the light red hues that adorn its body. They can often be found swimming in reefs and are sought after both for sport and for food. Though the waters were slightly cooler than usual, none of these fish need exceedingly warm waters to survive. If you would like to test your skills and see if you can reel in a catch worthy of Key West Catch of the Week, drop on by Key West at any time!